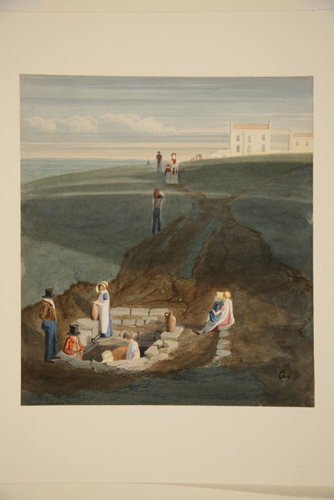 A watercolour of Mother Pugsley’s Well by Samuel Jackson, 1823 (courtesy of Bristol Museums, Galleries and Archives). The once much visited well seems to have consisted of two stone basins or cisterns. Water from one was supposed to have great medicinal properties, especially for ailments of the eyes. The other seems to have made a very good pot of tea. Mr. F. J. Burt (of Brislington) writing in the Western Press in 1920 remembered that the well situated in a builder’s yard at the top of Nugent Hill, Cotham when he was a child, he recalled drinking the water which had the reputation of being of medicinal value, especially for the eyes. Thus the well was lost. 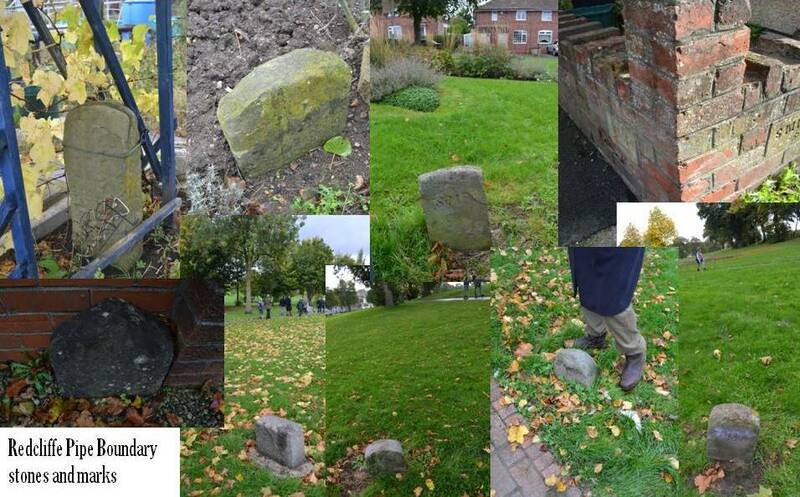 A compromise was the placing of a pump on the site which was recorded as still being extant in 1940. 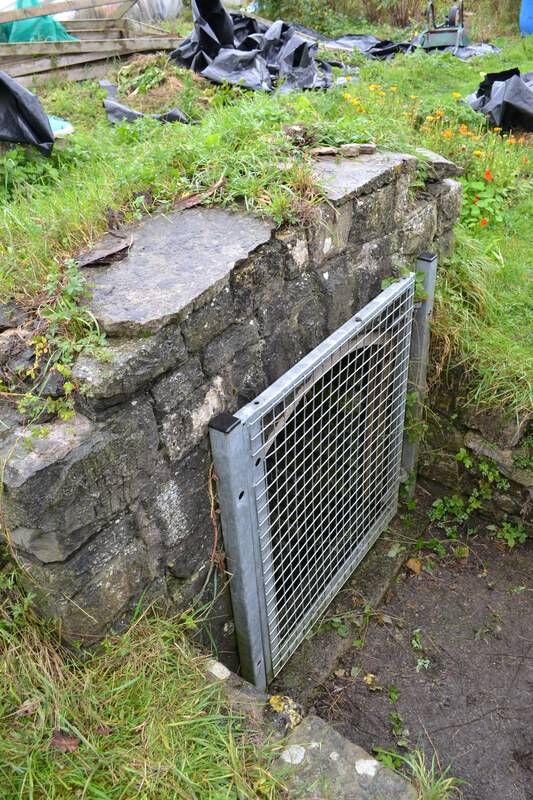 Its exact location being the boundary wall of 10, Nugent Hill from 2, Clare Road, Cotham. Quinn (199) in his Holy Wells of Bristol and Bath states some evidence of the well head remains but I was unable to discover it. One day it may be recovered. 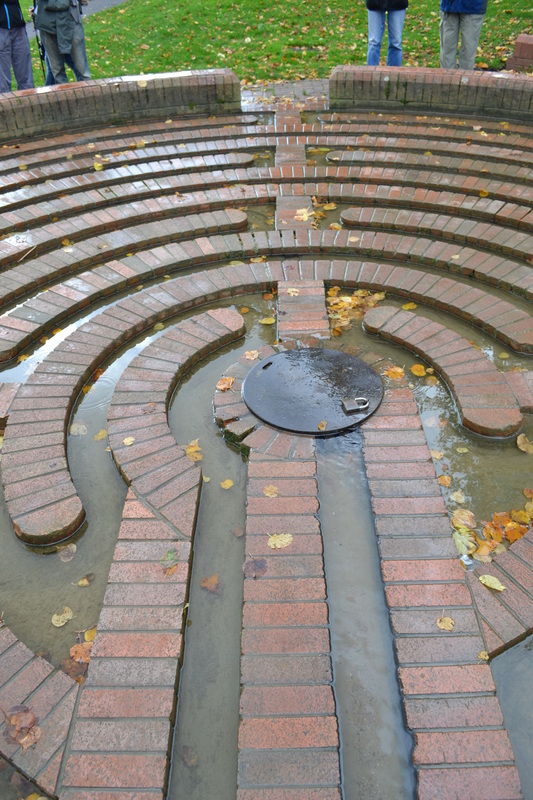 When is a well a holy well? Ruge well in Bristol, may not having any history of healing, association with saints or legends but by its association with the grand church of St. Mary Redcliffe and the continuation a unique tradition makes it a worthy consideration for this blog. 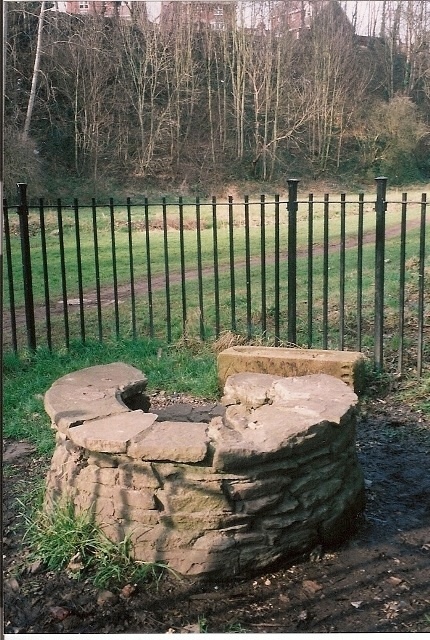 The well is one of the few surviving and largely functioning springs which fall between two forms of classification, neither holy (or healing) nor domestic, by its association with the church it could be considered holy and as such I have included such sites in my surveys, but clearly there does not appear to have been anything sacred thought about it. But what is more remarkable is that there remains a surviving custom associated with it which dates back on and off 900 years! So reads the grant recorded in the Bristol record office dated 1190. What is surprising that not only does this spring still flow towards the church, an annual inspection of the source and pipe continues to this day. This was made possible by Juliana, Robert’s wife who affirmed that ‘the Church and her Ministers were allowed to lead off the stream of the well over the demense lands and lands of the tenants, through fence and enclosure and meadow and pasture by a conduit to the church in perpetuitary However, the first record of the pipe is not until 1552 the pipe gets its first notice when the vestry accounts recorded there is a charge for the purchase for the use of pipe for a house, the rental of which continues for a number of years. When the annual inspection begun is unrecorded but it is assumed to be when the grant was given. 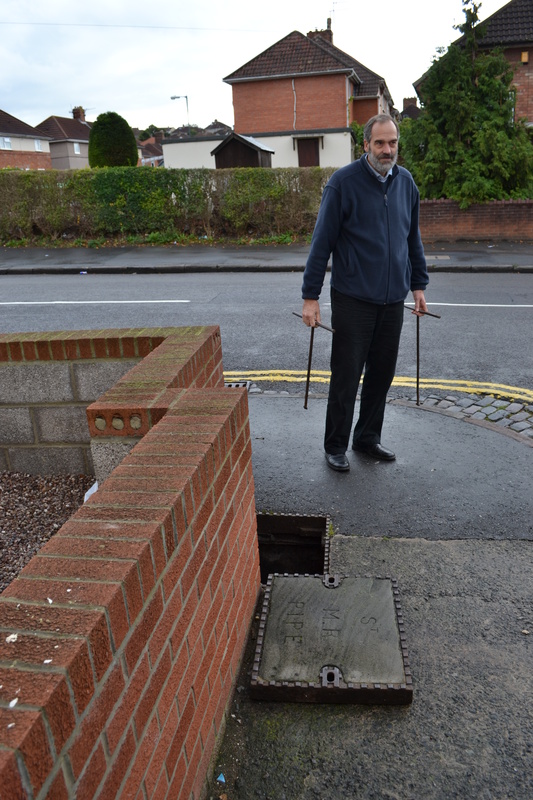 From this spring a pipe line was laid travelling two miles to a tap conduit head near the church. This route has changed little since the 1190s although urbanisation has sprung up to enclose it and now Victorian pipe has replaced whatever medieval structure there was; the route remains fossilised in time. From the spring head the walk takes itself through allotments, much to the bemusement of those tilling it, down narrow lanes, along streets, at certain points, small stone monuments mark the pipe. If you were not looking for them you would miss them! Most vaguely reading SMP. 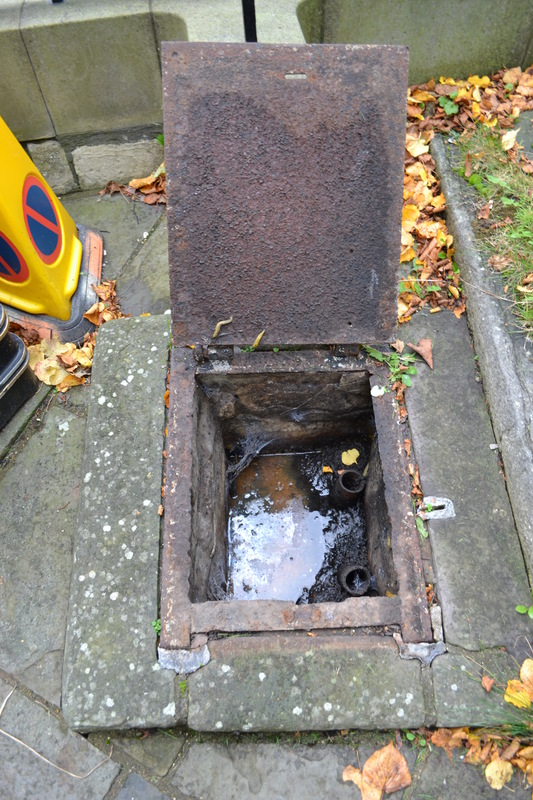 At certain points, most amusingly in the garden of a ‘modern’ house a manhole cover is lifted and the pipe revealed. What is particularly interesting is how the depth of this pipe becomes increasingly greater to where we reach Victoria Park, where a ladder is needed to descend some distance into the earth. At this last one, ceremonies appear to have developed; in early times the walkers would take a refreshing draft from the pipe…not recommended now but probably welcomed then. The other being the bumping of new attendees on the walk, a ritual often associated with boundary walks which was done to ensure the walkers remembered the marks. The above account also suggests other aspects of beating of the bounds were done – the hitting of the markers with ‘their sticks in hand.’ In 1990, when the 900 years of the pipe was celebrated a token walk over the railway line was done here. This is because despite the presence of an underpass and the importance of this main line, walkers arranged for the trains to be stopped so all the walkers could cross. During the 900th walk, a celebration peal of the church was also rang during it and the Bedminster Citadel Band of the Salvation Army played at one of the stopping points. Sadly, during the Second World War, the pipe got a direct hit, however in the 1990s, the source of its break was located and now the flow continues, albeit rather rusty looking to the tank behind the fountain head. It has yet to flow from the lion’s mouth. 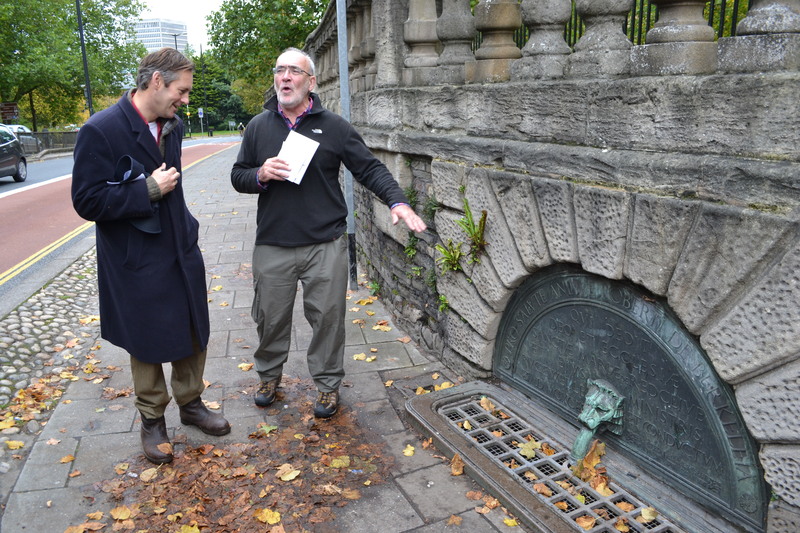 So Bristol’s Pipe and its walk is a curious survival. It survived the Reformation unlike many church related customs, probably became it was not necessarily associated with ritual but function. It survived the 1800s, when similar customs such as the Temple Walk declined. It survived the wars, although I believe it ceased for the First World War. And it continues to survive long after there is any need for its waters. Yet it is a worthy celebration of the importance of water and long may it continue. “The water of this well was formerly considered good for affectations of the eye”. The fortunes of the well and its pilgrimage over the last 90 or so years have been mixed. 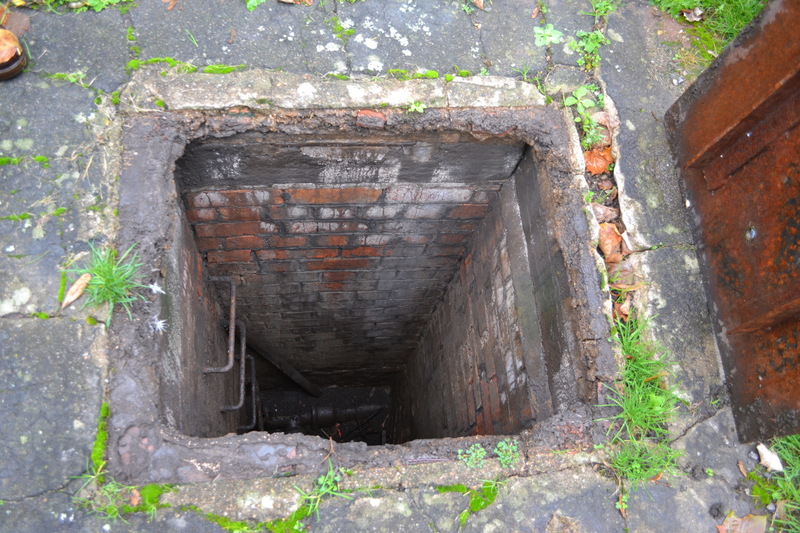 In the 1920s a circular well was constructed with a conical tiled roof. 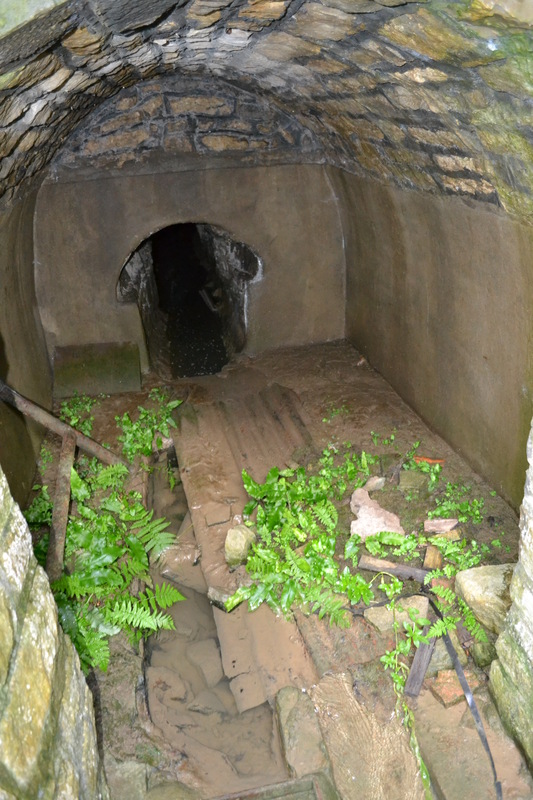 However, the well has gone through several stages of neglect. Winchester (1986) records in 1975 that rubble filled the well with a metal disc cover over it but a local holy wells pagan group, The Source set about restoring the site and created a new circular well chamber and a statue of St. Anne, although this statue now lays prostrate. They also established a regular visit to the well. Currently, a theatre group enacting the characters of King Henry VII and Elizabeth of York for a mile long community walk to the well with readings at it on the Sunday closest to the saint’s day following the ancient route. 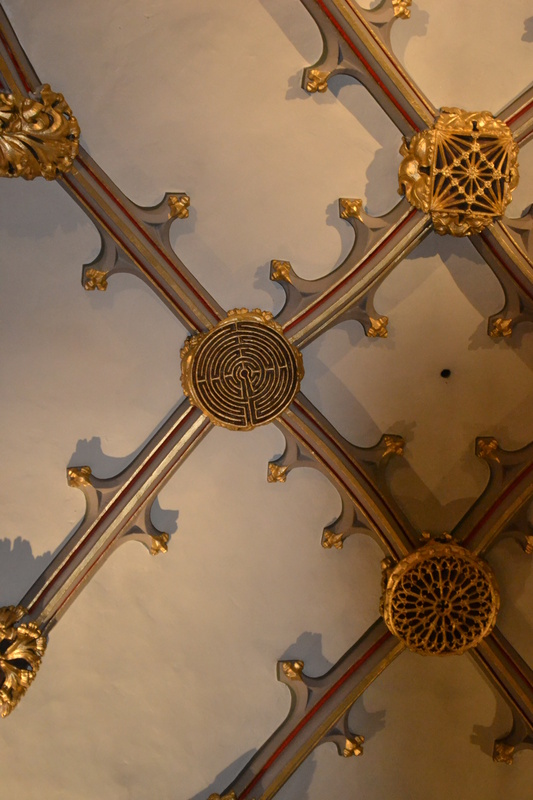 Visiting the wells at Midsummer – a lost holy well custom. 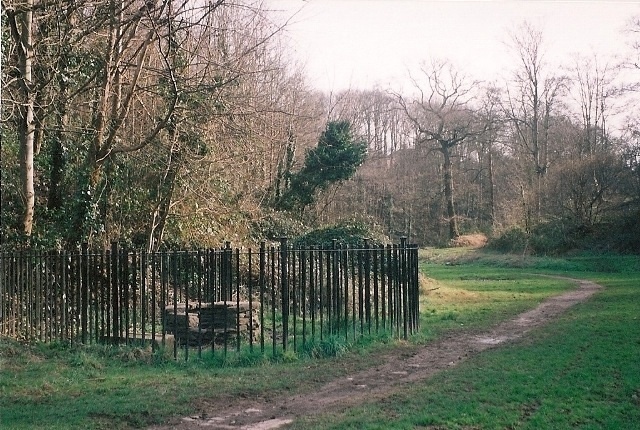 Now a lost site, it is possible that the site now called St. John’s Well in the village is the same site considering its connection to midsummer. This unusual site may indicate the longer and deeper associations of springs and midsummer than is first supposed…or antiquarian fancy. You decide.